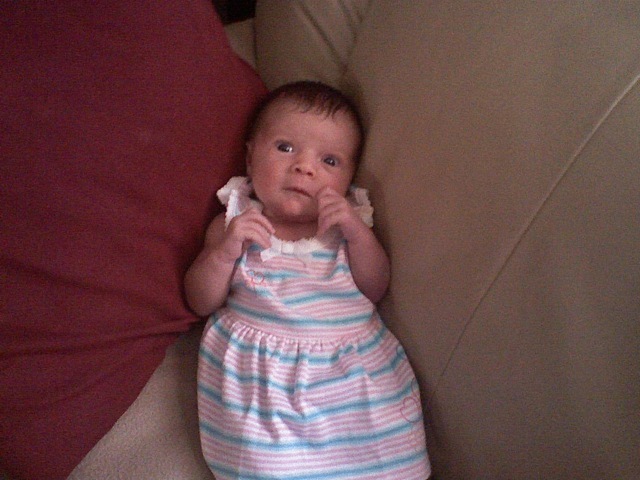 I finally received another photo via cell phone of my great niece born three weeks ago; she’s a little doll. While we are on the subject, here is a collection of more adorable babies…enjoy! They are all adorable for sure, but Chelsea Elizabeth is even more so. Chelsea is a little doll and the baby pics are so cute. Great photo of Chelsea and the other ones here are so wonderful too! lovely pics, your great niece is adorable. Chelsea Elizabeth is so beautiful and precious. God\’s blessings always be on her. Chelsea Elizabeth is a beauty and so precious. Those other photo\’s reminded me of some of Ann Geddes\’s (sp) work, she\’s amazing in her photography. Oh they\’re adorable for sure! That\’s some sweet photography there too. Ms Chelsea is simply beautiful Rhonda.